Less than 3 weeks to our season-opener Mundy Pond 5K Sunday April 25 and thanks to Paul Fewer for taking on the job of Race Director. 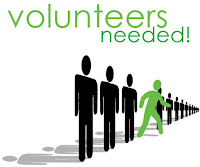 We need a full slate of volunteers to fill the 30 plus jobs on race morning. Visit HERE to see what positions are open and to sign up. Note that when you get to the sign-up page you need to click "Edit This Page" on the bottom left corner. Also don't forget to register for our Race Marshall Training set for next Sunday April 18.